Password organizer that’s safe & secure! You never have to remember a password again. Save your passwords in your own personal vault so that you can access safely. The best part is the browser add-on. Advanced Password Manager securely locks your personal and financial information so that you can unlock them using your own master key. You generally have to remember multiple passwords for your accounts (e-mail, social networking sites, blogs, forums etc.). Using the same password for all your accounts is unsecure and unsafe. If someone obtains the password, all your accounts are hacked without your notice. To stay protected and secure, you need to have a different password for all your accounts. Auto-fill login credentials using Advanced Password Manager's add-on. Securely save your online accounts. Sync passwords, credit card details and more, over browsers. Lets you remember only one password to unlock all your accounts. Saves time by auto-filling forms over the internet, using your saved details. Deletes all potential security traces (passwords, credit card details etc.) from your PC or Mac. Automatically syncs your saved details across browsers through its extension. Secure Your Passwords in 3 Easy Steps! Scan your PC or Mac for existing identity traces that can be stolen. 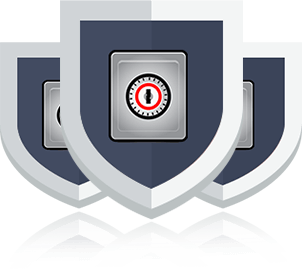 Remove scanned identity traces from your PC or Mac to stay safe & secure. The free scan only version scans for privacy traces. To clean these traces, you need to purchase the activation key. Copyright © 2019 AdvancedPasswordManager.com. All rights reserved.